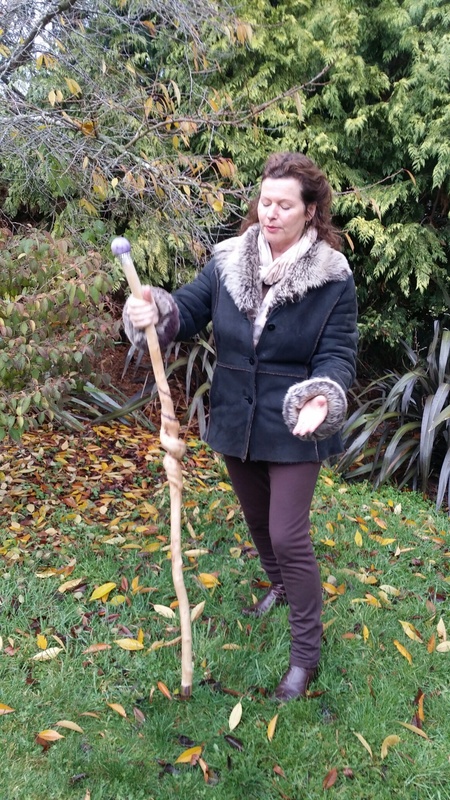 Annwyn offers Sound Healing in person or via Skype for individuals, families, or groups. She also provides house and land clearings/activations. Families, groups and house clearings costs will be negotiated according to what is required. Annwyn uses her Voice to convey Channeled Sacred Sounds of Healing. By inviting her client’s Higher Self to collaborate with her own Higher Self. This totally surrendered state ensures that the perfect Sounds are received, to restore physical, mental, emotional and spiritual balance. The Ancients of former , highly-evolved civilisations such as Lemuria and Atlantis fully understood and utilised the power of Sound as an integral component of all that was co-created. They also understood that absolutely everything is Energy. Sound and Focused Intention, woven into Energy/Etheric Templates of Light and Sound, brought forth new co-creations of planets, structures and life-forms including the Hu-man. Perfected harmonics contributed to these Etheric Templates but over eons of time the original Sound Frequencies have become distorted, out of tune, discordant. In the case of the Hu-man, this has expressed as many different types of dis-ease, depending on the note of discord (perhaps the word should be dis-chord!). When we realise that everything is Energy, it is easy to understand that the vibratory frequencies that first created the Hu-man body, can be ‘called in’ again to restore the body back to full health and vitality. Annwyn does this by channeling the exact Harmonics required to restore the Etheric Template of the physical body to its original pattern. She does this in collaboration with the ‘Body Elemental’ of each client, which is an innate intelligence holding the original, perfect blue-prints of our body. Many Sound Healers use tools such as crystal bowls, tuning forks, musical instruments and recorded music in their work. However, Annwyn uses her Sacred Voice as an instrument to channel pure Harmonics, ( a combination of several tones and chords) which some refer to as Lemurian or Atlantean Golden Tones. Energy is also transmitted via her hands and eyes and because she embodies the frequencies of Quan Yin and other Light Beings, by simply being in her Energy Field one is receiving healing frequencies. Annwyn and Raeul are Golden Age Mentors whose combined Energies are utilised by Spirit at crucial times in the evolution of planets. Together, they represent numerous Earth and Galactic Tribes, bringing great Balance and Unity with their Sacred Union of the Divine Feminine and Divine Masculine Energies. Both are former students of Thoth and held positions as High Priest/Priestess in the Sound Temple of Atlantis. They also served in the Temples of Lemuria and continue to have a strong connection with the Lemurians who created a underground city called Telos, under the very sacred mountain, Mt Shasta in Northern California. Due to their unique blend of frequencies many Beings of Light are able to work through them including The Ascended Masters and the Archangels, The Lords of Amenti, Thoth, Pan,plus countless other Star Beings. In July 2015 they anchored the inaugural workshop of ‘New Circuitry for the New Hu-Man Body’ at Mount Cook (sacred mountain Aoraki), New Zealand solely using Sacred Sounds of channelled Tones, Light Language and Celestial Cello. In response to Sacred Toning at one point a set of 8 crystal bowls began to ‘sing’ all by themselves! A signature of their work together is their unbridled Love for HU-manity and a great Joy for life as they help usher in the frequencies of the new Golden Age on Earth. Many Ascended Masters are asking to work through them, to manifest the projects they are working on for humanity, in various parts of the planet either remotely or in the physical. In 2016 they performed many sacred ceremonies during a months stay at Mt Shasta, bringing healing to all indigenous tribes around the globe. They carried and anchored powerful healing and revitalising energies from sacred mountain Aoraki (Mt Cook ) in the South Island of New Zealand, to her sister, Mt Shasta. They also anchored the Flame of Peace with the mighty Redwood Trees to bring stability to the USA during the pre-election chaos. During 2017 Annwyn and Raeul worked mainly with the Oneness Shield of Atlantis in New Zealand and Europe as directed by Spirit. The frequencies of ‘The Song of New Atlantis’ (which are essentially ‘Oneness’), were anchored in Wellington and Auckland (New Zealand), Glastonbury, Berlin and Switzerland. Spring Equinox 2017 saw them in Kaikoura, South Island of New Zealand, to work with the Whales, ‘The Ancient Ones’, to receive and anchor codes for The New Earth, especially the frequencies of Compassion and Creation. Later that year they were called by Spirit to relocate to a small town at the southern edge of Lake Taupo, in the centre of the North Island of NZ. Raeul is called by Lake Rotopounamu and Annwyn by Mt Ruapehu…let’s see what unfolds!